Nothin' more Southern than fried green tomatoes! 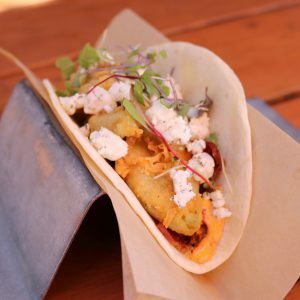 Beer battered fried green tomatoes, peppered bacon, lettuce, tomato, remoulade, herb goat cheese & micro greens on a flour tortilla. Come and knock on our door... We've been waiting for you.